Antioch Energy LLC (“Antioch”) announced today it has entered into agreements with an affiliate of WaterBridge Resources LLC (“WaterBridge”) that provide Antioch a cost-effective produced water handling solution and access to reliable capacity at economic rates. Antioch sold its existing produced water infrastructure in the Arkoma Stack to Houston-based WaterBridge, including approximately 40,000 bpd of capacity, expandable to 120,000 bpd within six months, in Hughes County, Oklahoma. Antioch also dedicated current and future leasehold exploration and production activities within a 100,000 acre area of mutual interest pursuant to long-term, fixed-fee produced water gathering and disposal agreements. “This transaction reflects Antioch’s mission to create value in a delineated upstream asset with established infrastructure,” said Antioch CEO Kevin Dunnington. 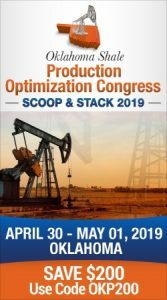 Antioch expects to continue development of three productive horizons in the fast-growing Arkoma Stack – the Caney, Mayes and Woodford formations in eastern Oklahoma. Antioch owns over 24,000 net contiguous acres in the core of the Arkoma Stack and operates 60 wells. The net resource potential recoverable in Antioch’s position is approximately 2 trillion cubic feet equivalent, with an inventory of 500-plus drilling locations. 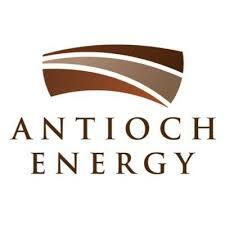 Antioch Energy is a private equity backed exploration and production company headquartered in Oklahoma City. The company is focused on midcontinent upstream development in fast-growing unconventional resource plays. Antioch is led by Kevin Dunnington, Nathaniel Harding, Keith Downing, David Fruit, Rob Underwood and Tyler Chastain, and is supported by Outfitter Energy Capital.